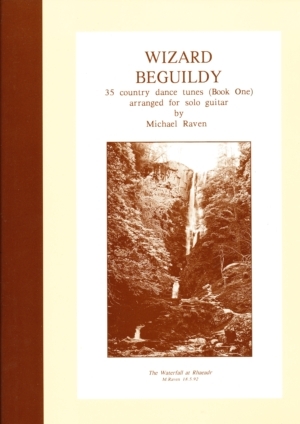 35 English aires and country dance tunes for solo guitar. Titles include: Horsehay * Rosebud in June * Two French Brawls and a curiosity – Freight Train played as a Flamenco waltz. Music printed in staff notation and tablature. Country dance tunes are of many kinds and range from Early Mediaeval times to melodies made but yesterday. What they all have in common is a strong melodic line that incorporates the rhythm of the dance. The tune is complete in itself. Most of the jigs and reels need little more than bass drones. In the case of these faster tunes this is just as well because of the speed at which they should be played. Ornaments, rhythmic accents and phrasing are more important than harmony. As to the contents of this series of books, (Delbury Dervish, Star of Belle Isle, Soulton Hall, Lucy’s Frolic and Silent Field) most of the tunes are English but just as traditional singers knew and performed a few exotic pieces and popular songs of the day, so I have included here the instrumental equivalents: dance tunes from Ireland, France and Spain and some contemporary melodies.